This article shows you how to use OSS, DLA, and Quick BI to perform data query and analysis, and export visualized BI reports based on OSS. 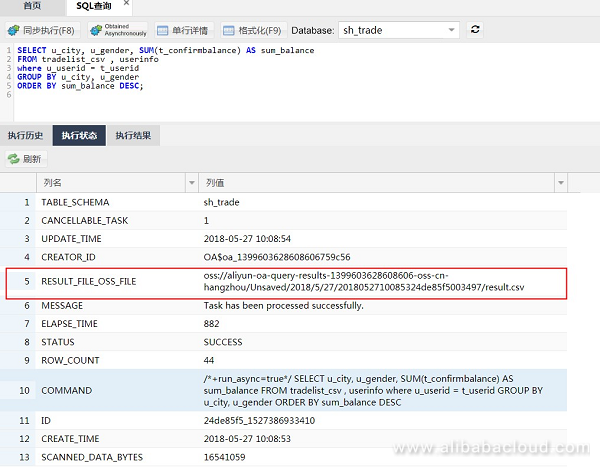 Multiple methods are available for querying and analyzing data stored in Alibaba Cloud Object Storage Service (OSS). 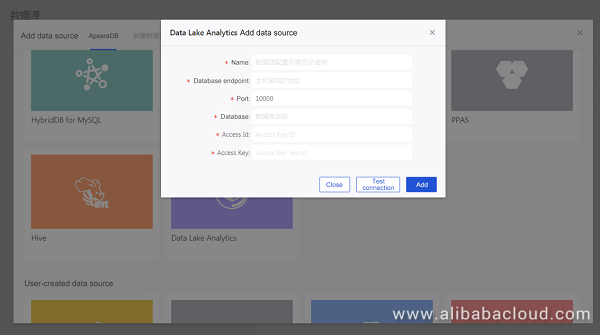 For example, you can use Alibaba Cloud serverless query and analysis services such as the big data computing service MaxCompute and Data Lake Analytics (DLA). You can also create Spark, Presto, or Impala applications to analyze data on OSS. This document describes a test for using OSS, DLA, and Quick BI to implement data storage, serverless ad hoc queries, and visualized BI reports. 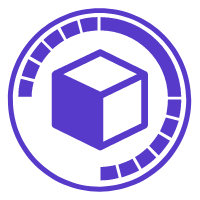 The overall process of data processing, including data storage, interactive query and analysis, and BI report export, is tested by using OSS, DLA, and Quick BI. This test applies to scenarios such as queries and analysis on logs and transaction records and report export. 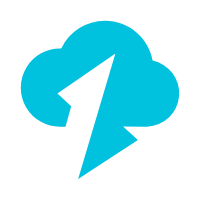 Go to the Object Storage Service page and click Buy Now. Apply for a free trial subscription to DLA. Note: DLA is in open beta testing (OBT) now. To use DLA and its console, you must apply for the OBT qualification first. DLA can be used for query and analysis execution against specified OSS data files, including CSV, JSON, Parquet, ORC, Avro, and RCFile files. Log on to the OSS console and create a directory. Create an OSS test bucket. In the Region drop-down list, select your preferred region. We will be using China East 1 in this example. 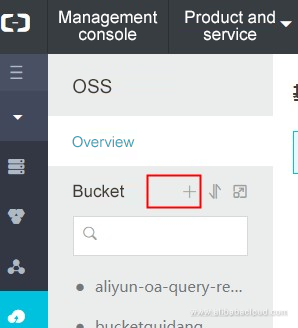 Note: The bucket name must be unique among all existing buckets in Alibaba Cloud OSS. Change your bucket name if the system prompts that it already exists. We recommend that you create the workshop_sh/trade and workshop_sh/user directories. Click here and enter your username and password to log on to the DLA console. Check your username and password in the DLA service activation notification email in your http://www.alibabacloud.com website mailbox. Enter the following CREATE SCHEMA statements and click "Synchronous Execution." Your OSS LOCATION directory must be ended with "/" to indicate that it is a directory. For example, LOCATION='oss://workshopsh20180608100/workshop_sh/'. All the OSS files of the tables you created within this schema must be under this OSS directory or its sub directories. 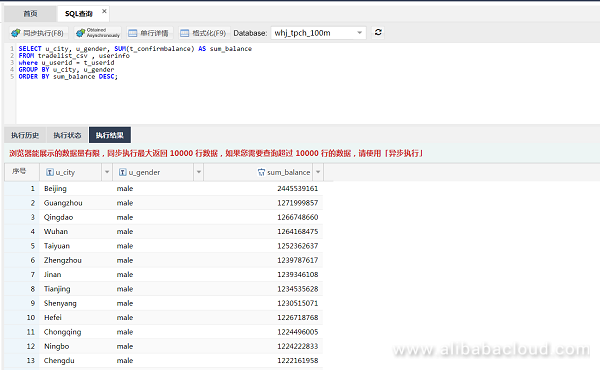 Database schema names must be unique in each of your Alibaba Cloud regions. Replace "my_schema_name" with your specified schema name in the test. Change your schema name if the system prompts that it already exists. In the "Database" drop-down list, select the created schema. Enter the following CREATE TABLE statements and click "Synchronous Execution." The LOCATION directory is oss://bucket name/test data directory/. Create a transaction record table. Note: The LOCATION directory is in the 'oss://bucket name/transaction record table directory/' format. Replace the LOCATION directory with 'oss://your OSS bucket name/workshop_sh/user/' in the test. Create an account information table. Note: The LOCATION directory is in the 'oss://bucket name/account information table directory/' format. 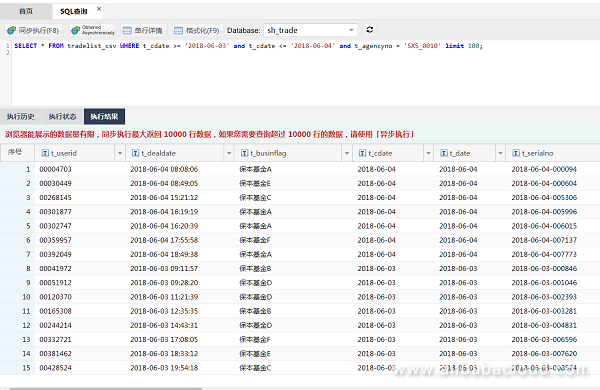 After creating the tables, refresh the page. The two tables are displayed under the schema created for the test. Query 100 transaction records of the agency SXS_0010 generated on June 3 and 4, 2018. Query the total balances in accounts of male and female users in different cities (multi-table JOIN query). 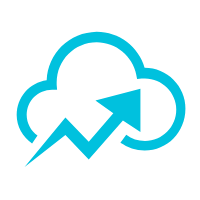 Export the asynchronous execution result to OSS in the CSV format. The execution status can be "RUNNING", "SUCCESS", or "FAILURE." Click "Update." When "SUCCESS" is displayed in "STATUS", the OSS directory for storing the query result is displayed. Only Quick BI Professional supports connections to DLA data sources. You can check the values of "Database Endpoint" and "Port" on the DLA console. Set "Database" to the schema name you have created in DLA. Click the "Create Dataset" icon next to a table. To select a data source, click "Customize SQL." Enter SQL query statements and save the output (for example, in a file named "citygender"). Display the dashboard editing page and select a dashboard display mode. Select a dataset (for example, the "citygender" dataset). Set "Value Axis (Measures)", "Category Axis (Dimensions)", and "Colors (Dimensions)." The following figure shows the total balances in accounts of male and female users in different cities. 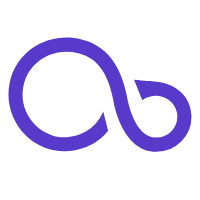 Interesting you shared sample data besides telling the beauty of serverless DLA on OSS... QuickBI. Connecting to DataV too?